It is not 9am yet and on the 1st floor, next to the Students’ Association, the first tables that will make up the Solidarity Christmas Fair begin to be set up. The grey morning announcing rain does not take away the smile on the faces of the employees of the Faculty of Medicine of the University of Lisbon. 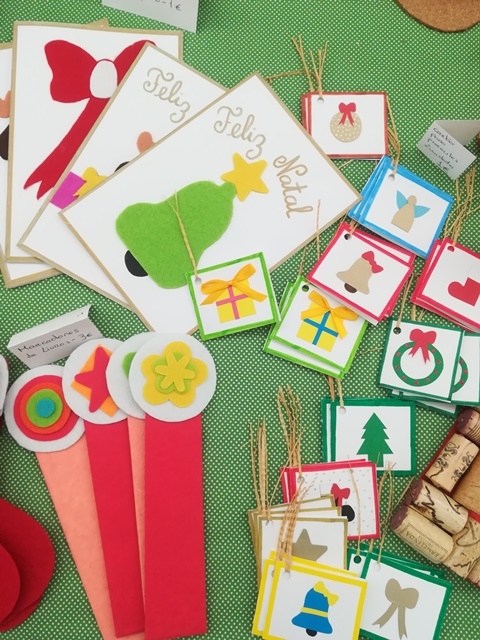 No matter what positions they occupy, or the working day that awaits them, they organize everything for a higher purpose, the Faculty to Help, a 10-member, non-profit organization that promotes this Christmas Fair. 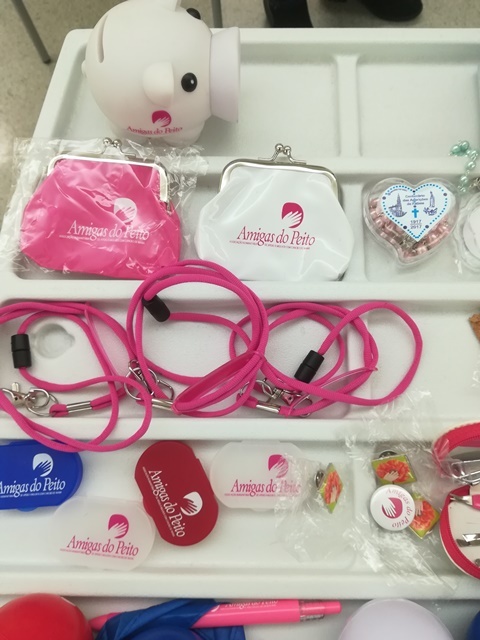 There are six institutions, all associated with Health, that will spend 23 and 24 November selling small souvenirs, in order to promote themselves and raise funds, small causes that can make a difference to continue to take care of those who needs it. I want to talk to the people from the Faculty to Help, but nobody likes to play a leading role at times like this. 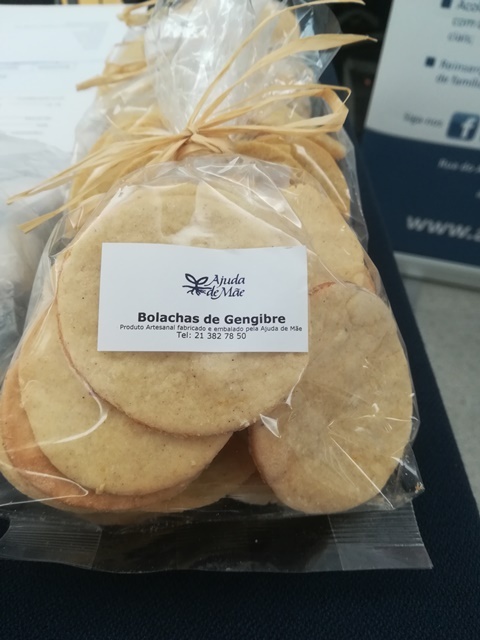 After much insistence, Ana Tavares, from the Administrative Units area, tells me that this year they decided to anticipate the Christmas Fair so that the items do not have to be purchased just in December and this encourages passers-by to buy something. The choice of this place is not by chance, as it is the point students, lecturers and employees walk through the most, but the Institutions also have a special meaning for all of them. They work at the Hospital, or one of the members of the Faculty to Help team works there as a volunteer. They are two of the Educators of the Paediatric Department of the Hospital, of the Association of the Children of Santa Maria (Associação das Crianças de Santa Maria). They work for hospitalized children and for those attending external consultations. They are a multidisciplinary and entertaining intervention team that tries to guarantee children’s routines, even when they are unable to attend school. They sell colourful calendars made by children and parents and all this helps raise funds for the purchase of new materials that guarantee the daily operation of everything. The educators work all year round in the activity room and in the internment area, and not only when it is Christmas. For more information and help you can contact these educators. Anabela Horta is one of the CERCI overseers and is selling things done by them, overseers, and by disabled customers. They need funds for small routines like going to the movies, outings, having lunch out, or something larger like organizing holiday camps. 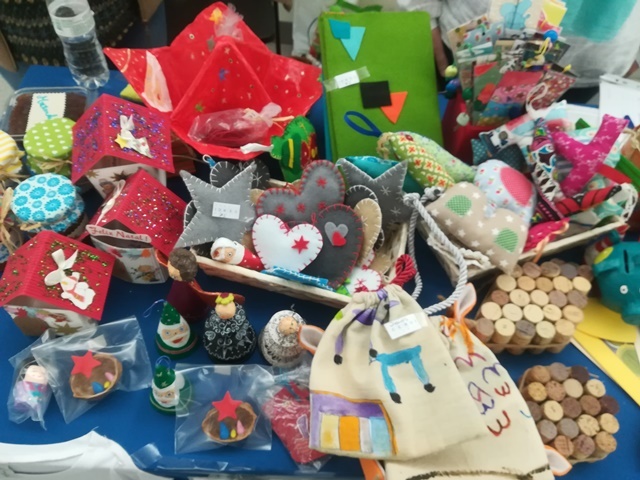 They receive support from the Social Security, which is not enough and so they produce creative and cheerful pieces in papier mâché and prepare homemade sweets with the help of Quinta das Carmelitas, in Luz. For additional help check the website. The smile of Maria Fernandes, who works at Ajuda de Mãe is contagious and makes us believe that everything is possible if we accept the gift as it is. Ajuda de Mãe (Mother’s Help) is an institution created in 1991 to help mothers whose children’s lives are at risk. One of the first steps was to create a free helpline, but they have grown and widened the spectrum and today they offer psychological, food and social support, accompanying the mothers from pregnancy to the beginning of the baby’s life and helping at all subsequent stages as needed. They bring ginger biscuits and cherry compotes, which are healthy because they have little sugar. The site shows how you can help. 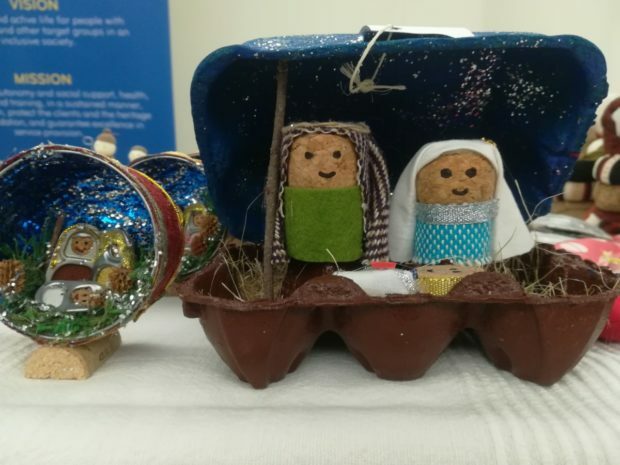 Carla Rei has been working at the National Association of Families for the Integration of the Disabled Person (AFID) for 10 years and has a table filled with fabric and cork nativity scenes and weaved pieces. The association’s members with disabilities are responsible for these jobs. They want to raise funds for the whole year, to continue to secure the bridge between their clients and specific employers, such as IKEA, or some kennels. They are permanently attentive to integration in the labour market, but for those who do not work externally, there are rooms for the development of specific projects. All have a place there, the youngest and the oldest, who is 71 years old. With regard to the young people, they are attentive to their integration in society and, with the more seniors, they ensure their well-being and relaxation. The site informs about how to participate. She is the Director of the Parents Network Association (Pais em Rede) and is called Edite Vasconcelos. The project is for children and young people with disabilities of different pathologies, such as autism and hyperactivity, and also other very rare conditions. 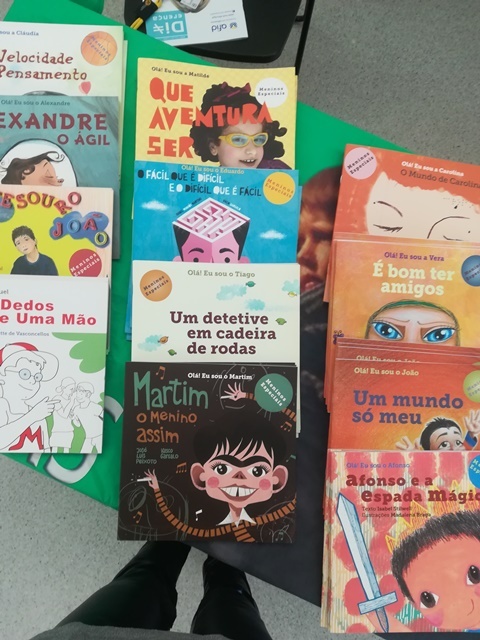 They have a collection of books – “Special Children” – with real stories where the writer, illustrator and publisher, pro-bono, have contact with the children and know their environment. Thus, social and community inclusion are promoted as all schools in the country buy these books to work with their students. The following persons, among many others, have written books: José Luis Peixoto, Alice Vieira, Isabel Stilwell, and Ana Zanatti. The Pais em Rede has several projects spread nationally, all supported by the Institute of Marketing Research (IMR) and several municipal councils. Books are sold directly via this email. The Faculty to Help organizes many solidarity events. 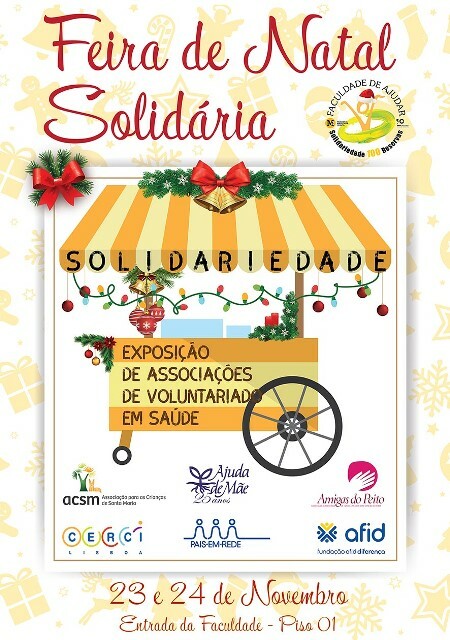 The next joint action will be at the Galhardas Pingo Doce, das, with the Food Bank, on 1st and 2nd December. They also have Re-food and all employees and students participate. In the words of Ana Tavares, the students “are always ready to help”.